Nobody knows when they are going to need medical treatment but when it is needed, it is important to have the very best treatment. However, medical treatment comes at a price and so, it is crucial that you understand how to alleviate the cost of family healthcare expenses through health insurance. Healthcare costs are increasing at an incredible rate and if the costs continue to rise, families will be priced out of being able to afford it. However, health insurance is there to help you and your family when it is needed but how can you make alleviating the costs of healthcare a lot easier? Healthcare is not really set up in a way for you to shop around and there is nothing in place that incentivises the healthcare system to manipulate the costs. Therefore, you have to do all you can to ensure that the healthcare system is accountable. To begin with, you could document everything that relates to billing. This will include everyone involved and everything else associated to it. When the time comes to make an appointment, you will need to ask the question about whether they are affiliated with your health insurance provider. If they are not, then you know that the costs will be significant. Should you find yourself in the hospital and awaiting treatment, you need to make it clear that you do not want them to use any care that sits beyond what is covered. Therefore, you should make this known on any kind of paperwork you sign and make sure that you get a copy. You must ensure that you get proof of your request. If you find out that they want to test you, ask doctors what they plan to use the test for and what effect that will have on treatment. If they are unable to provide a valid reason, then ask if the test is really needed. You should also ask if tests are being carried out as part of the insurance cover as well as whether the doctors are included in this. You should also ask about which test provider has the cheapest option and, as mentioned in the first point, you will need to make sure you have everything documented. If tests are requested before you have even seen the doctor or met them, make sure that you stop the tests. Often, too much testing is carried out for sake of carrying out testing but they come with risks and so, should only be carried out if there is a real need for them. Often, testing can throw up false positives that lead the doctor down the wrong path but ultimately this will cost you more money. If they decide that, you need therapy and further consultations then find out which provider can offer them at the lowest price. Often, those therapy centres that are owned by hospitals will charge more than those that are privately owned. Medication is something that you are likely to be prescribed but it is very expensive. Therefore, ask the question about the risks and benefits and how long you are expected to take it for. You will also need to ask about the medication and its cost-effectiveness because that can also lead to you spending more money. Finally, you can ask what you can do to make the situation better. Often, you can solve a medical problem by making a few changes at home instead of taking medication. If you are having difficulty obtaining this information from the doctors as them for resources so you can take charge and take care of yourself. 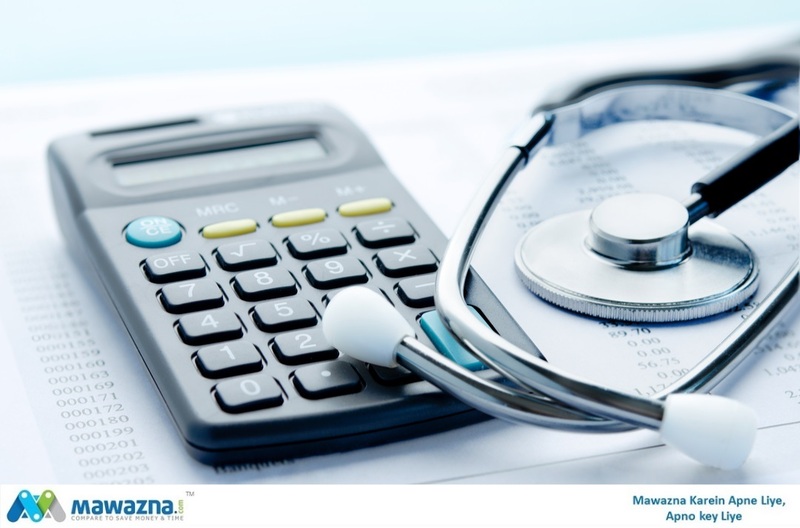 Always compare health insurance in Pakistan before you buy one and this is where Mawazna.com can help you with. Ultimately, healthcare and health insurance leaves people in a position where they have no choice. This is because when you or a family member require treatment, you focus on that more than the cost. However, in order to mitigate costs, you should begin by asking questions because that make a huge difference.